Inspired by a summer evening wedding I'll be attending this month, I thought a metallic shawl would be a wonderful accessory not only for this event but to wear for dressing up any dress. 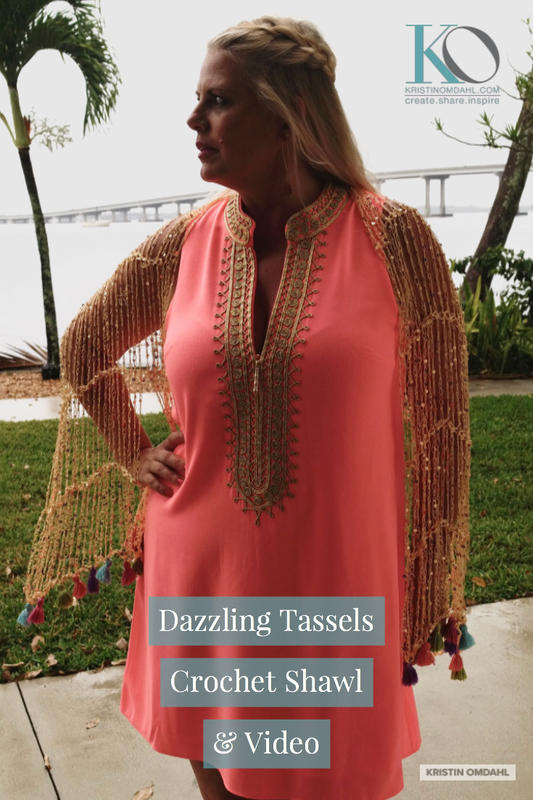 I used a spectacularly brilliant sequin yarn for the body of the shawl and used multiple colors of yarn for the tassel fringe so it could be worn with any number of dresses. 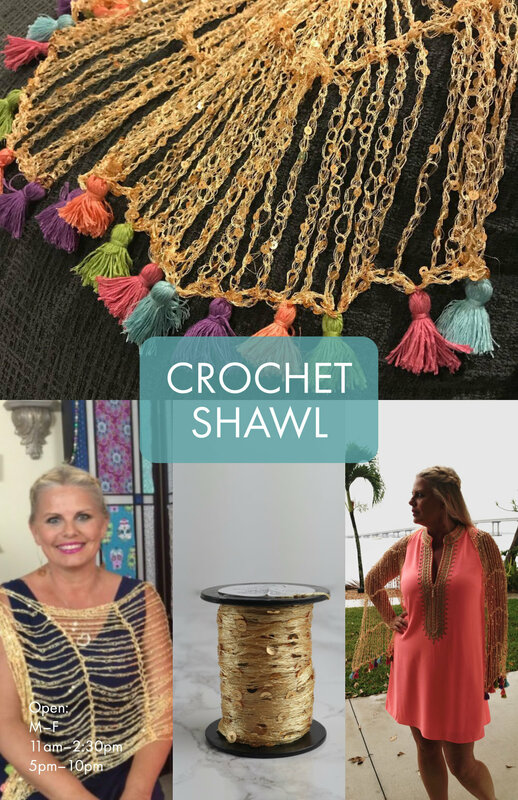 You could customize this in unlimited combinations of colors to coordinate wedding colors, the colors of your wardrobe, or specifically for one special outfit. Row 1: Dc in 4th ch from hook, *ch19, skip 19 chs, 2dc in next ch. Rep from * across. Row 2: Slst into space between first and second dc, ch3 (counts as dc), dc in same sp, *ch19, skip 1 dc, 2dc in sp before next dc. Rep from * across. Rows 3 - 30: rep row 2. 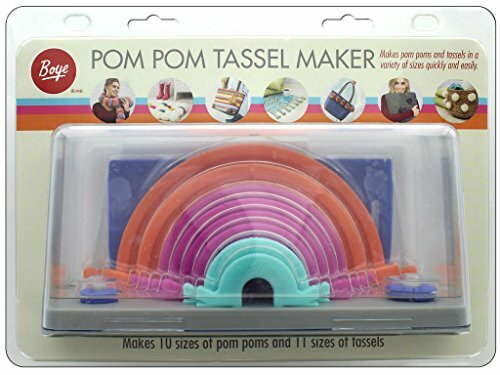 Make 4 1" tassels each in the 5 colors (or a total of 20 tassels). 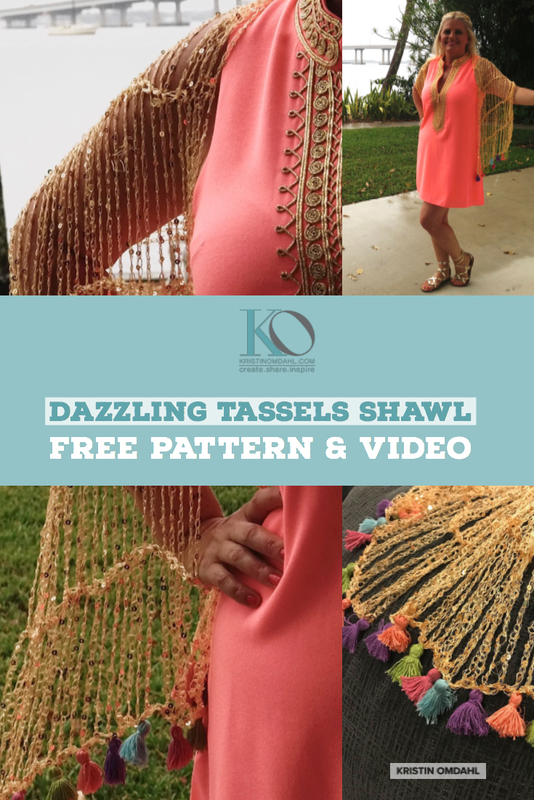 Attach them evenly to the short ends of the shawl. 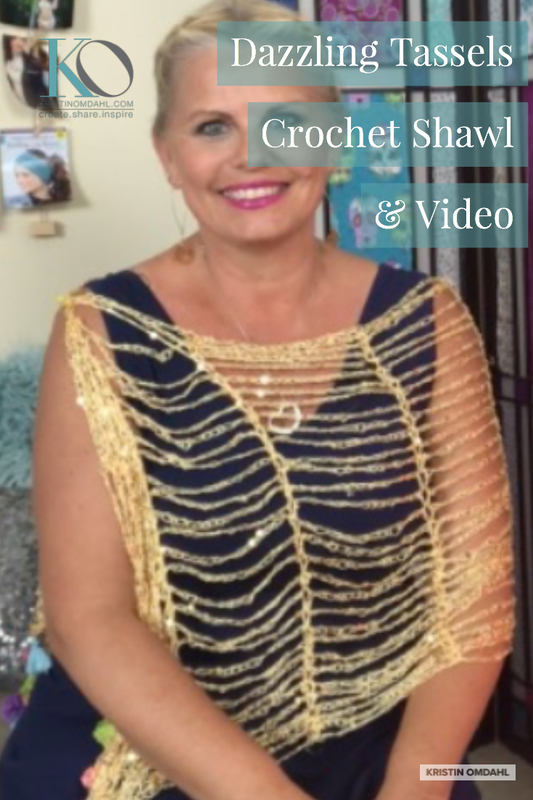 Slip stitching to the shawl is a secure way to attach them. May 11 New Colors of Be So Sporty BLING Yarn!